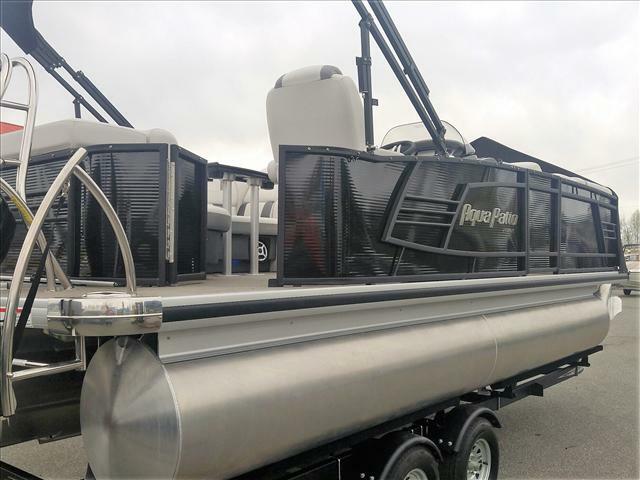 This Aqua Patio Chaise 4 gate is absolutely loaded with options and offers incredible versatility with an entrance gate on each side, bow and stern! 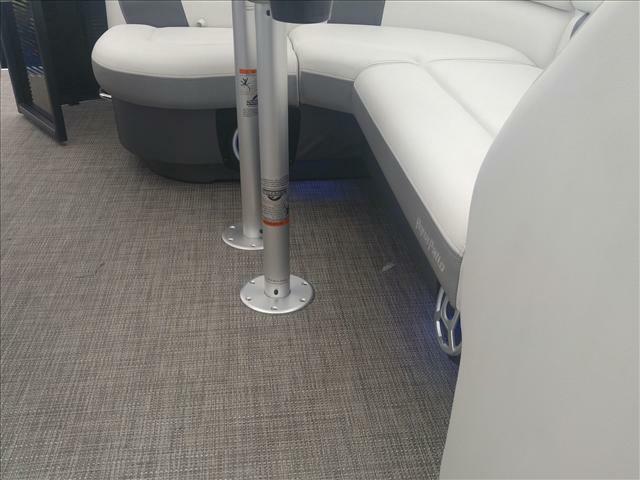 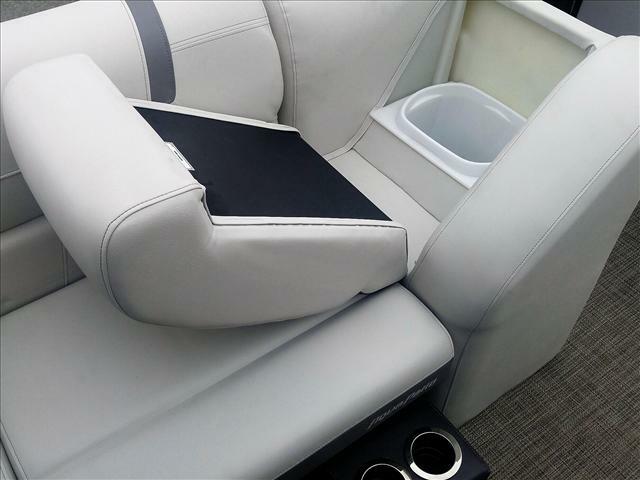 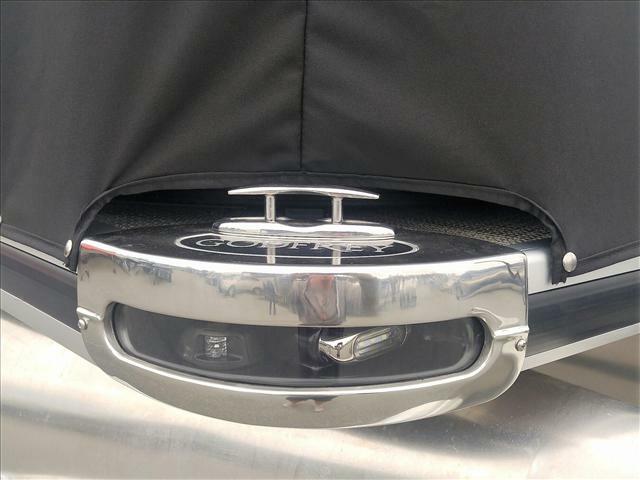 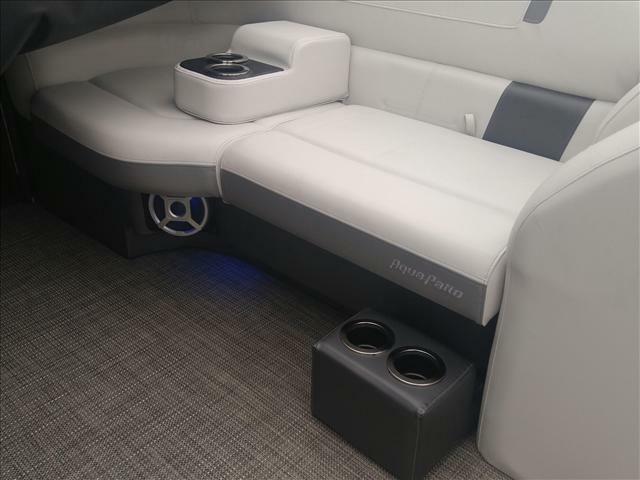 With a filler seat for the bow, you have the option of creating U shaped bow seating, or filling in an extra seat on port or starboard to accommodate any docking situation! 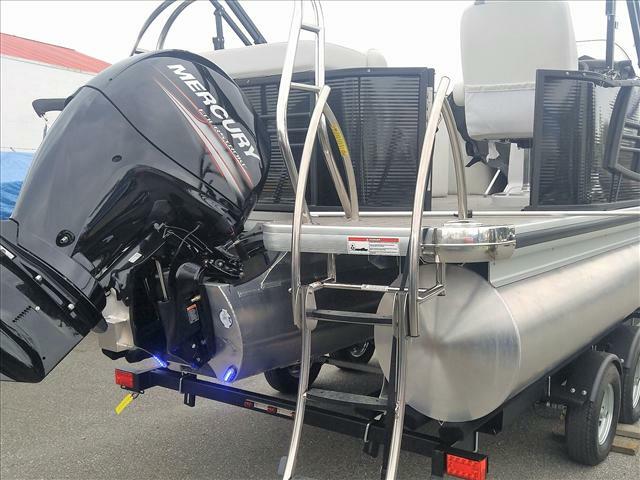 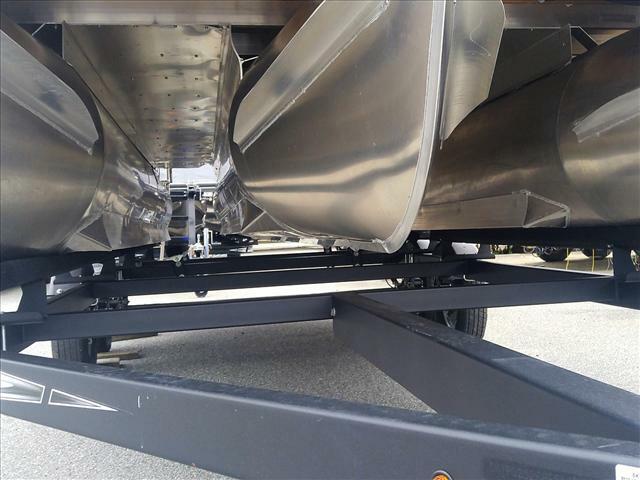 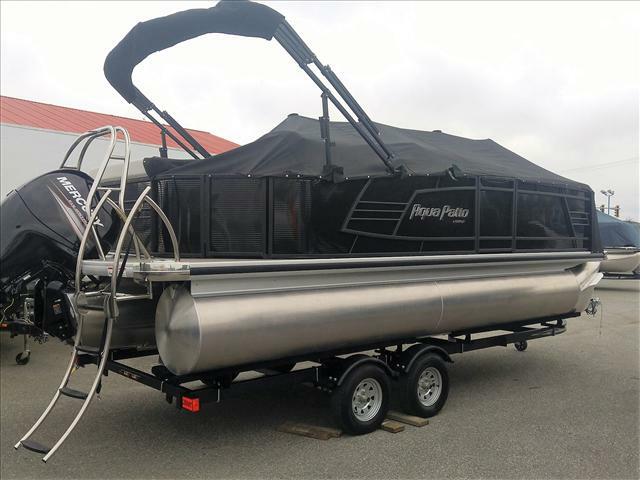 Features:150hp Mercury 4 stroke EFI with hydraulic steering and tilt steering, triple 25" toons with full length lifting strakes and full length under belly skirting to aid in performance and protect even in salt tandem axle trailer with disc brakes,ultimate extended deck package with corner casters, pop up s.steel cleats, upgraded overwidth helm chair with recliner, swivel, and self-levelling armrests, full fiberglass helm with fiberglass base - adding strength for the captain's seat and longevity, full cover, bimini cover, underwater LED lighting, full length blue swim lighting, interior lighting, "light it up" stereo system with lit speakers, I pod, usb, AUX input, change room with porta potti, dual batteries with switch, weighted base cup holders, two removable seat sets of cupholders, ski tow bar, arched stainless steel "stair type" ladder, halogen docking lights, plus much more! 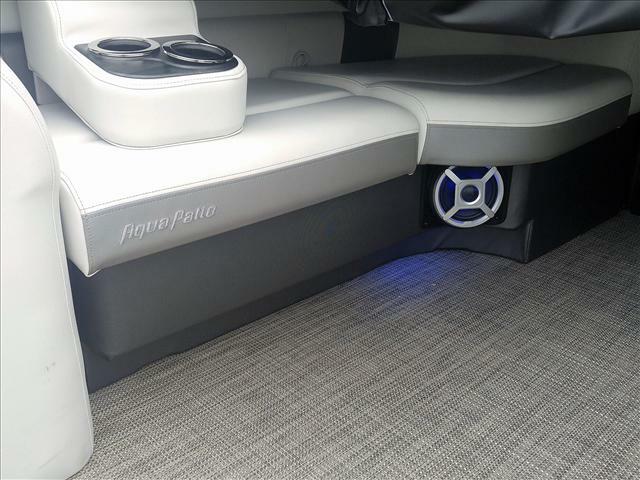 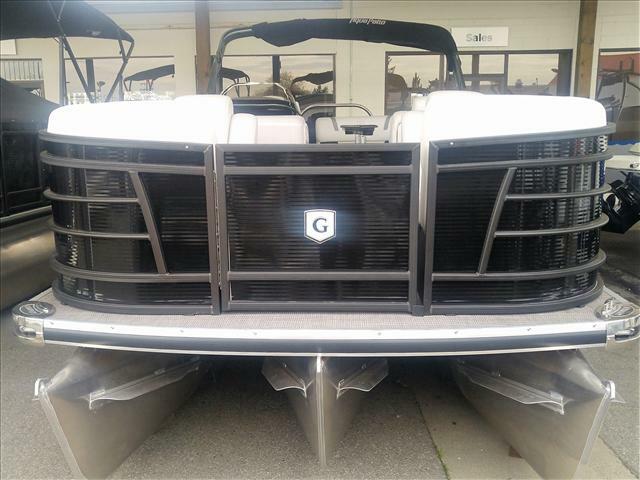 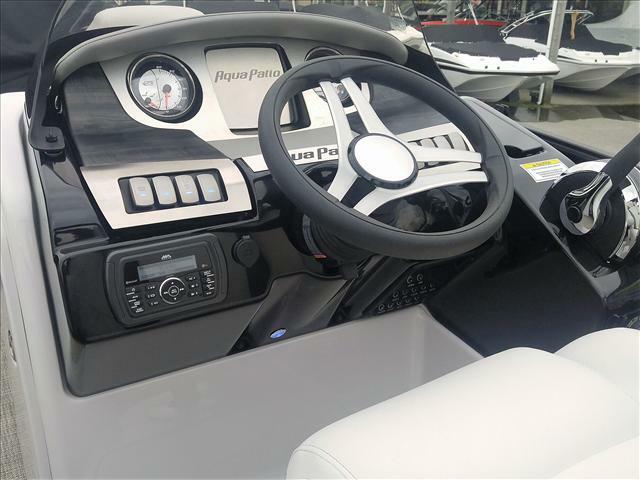 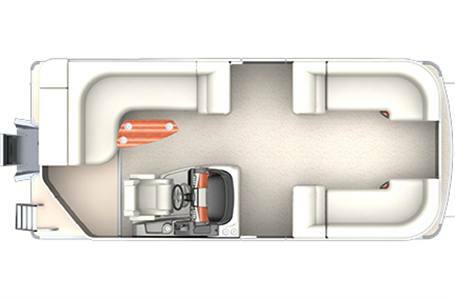 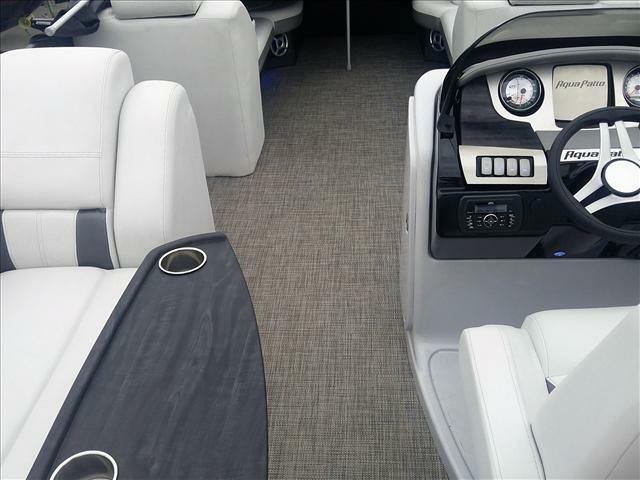 This boat offers top performance, multiple person capacity, and too many features to list! 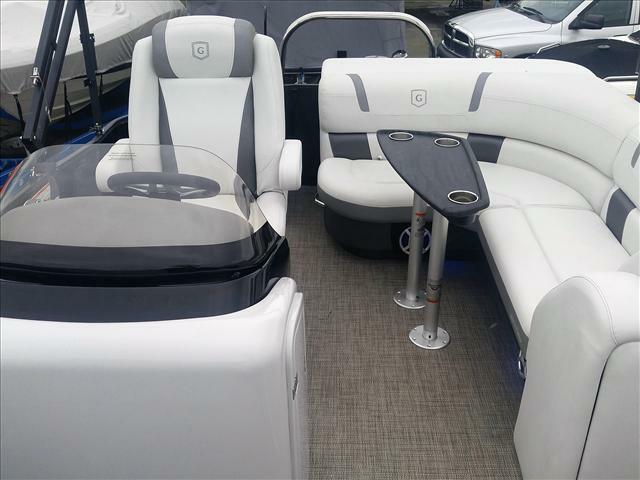 Lifetime hull/deck warranty, Lifetime leak warranty, 5 year non depreciating warranty on all components including upholstery, lights, electronics, fabrics, fittings and more.